This page summarises the local government organisation of West Sussex since 1889. West Sussex County Council was formed in 1889, and in 1894 a network of boroughs, urban district and rural district councils was formed across the county. West Sussex had two Municipal Boroughs dating from 1836 (or before): Arundel and Chichester. Worthing became a Municipal Borough in 1890. From 1894 there were also 4 Urban Districts: Bognor, Horsham, Littlehampton, New Shoreham (renamed Shoreham-by-Sea in 1910). New urban districts were created for Southwick (1899) and Crawley (1956). Urban Districts had similar powers to boroughs but lacked the powers to appoint mayors or aldermen. 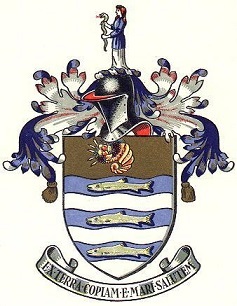 In 1929 Bognor became Bognor Regis. There were also 8 Rural District Councils covering the areas outside the major towns. These were: East Preston*, Horsham, Midhurst, Petworth, Steyning West*, Thakenham*, Westbourne*, Westhampnett* Rural Districts. Most Rural Districts were initially based on the Poor Law Unions, with meetings held at the workhouse. In 1933 there was a reorganisation and the Rural Districts marked * were abolished. They were merged into adjacent districts, including 3 new Rural Districts: Chanctonbury, Chichester, and Worthing RDCs. In 1974 major reorganisation saw the urban and rural districts abolished and a 2-tier structure established, with the County Council and 7 Districts: Adur, Arun, Chichester, Crawley, Horsham, Mid Sussex, and Worthing. Mid Sussex was largely formed of Burgess Hill, East Grinstead and Haywards Heath, which were transferred from East Sussex. The county town is Chichester, which has city status.